These experiences have led me to ask: Where have I been? When did downsizing become as expensive as upsizing? For many older homeowners in Massachusetts today, there’s no place like the home they’re already in — as in no place to go. This is especially true for those who live in cities and towns 25 miles or more from Boston, where home prices have yet to climb back to the heights they reached before the economy plunged in 2008. In Plymouth, the median sale price of a single-family home at the end of 2017 was about 4 percent below its pre-recession peak in 2005. Towns such as Hyannis and Southbridge sat deeper in the hole — still more than 15 percent down. Compare that with Cambridge, where the median sale price rose by 96 percent between 2005 and 2017. In parts of Boston, prices have outright doubled since 2005. Never has home-value disparity in Eastern Massachusetts been so extreme. 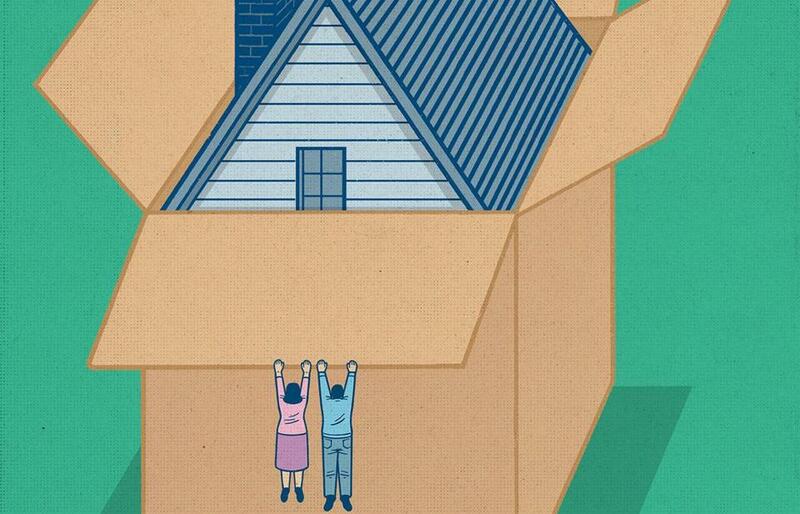 Even couples with considerable resources can blanch at what it costs to move into the city. 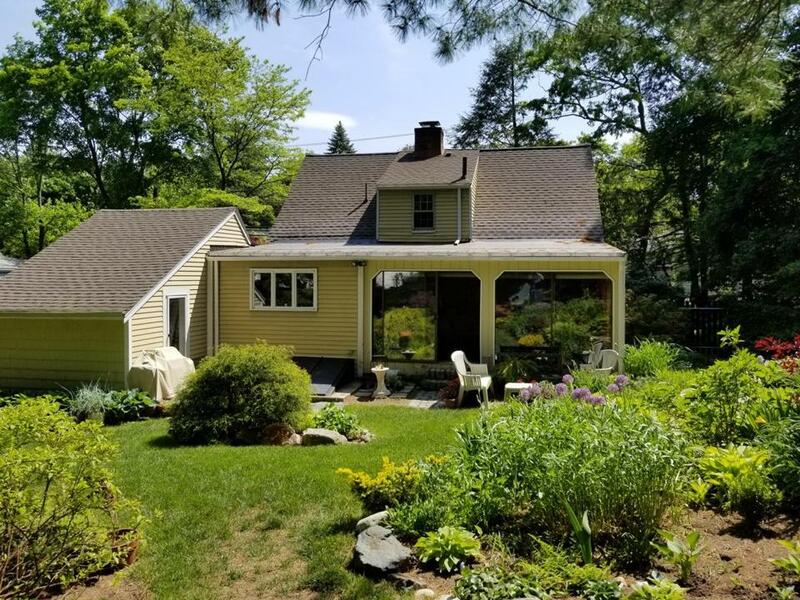 With their youngest child about to head to college, Wellesley residents Andrew and Marian Wrobel began contemplating selling their five-bedroom home last year. In retrospect, it almost sounds naive, but the Wrobels thought that for $800,000 to $1 million, they could find a three-bedroom condo in Charlestown or the Seaport District big enough for their two children to comfortably stay overnight on visits, and in walking distance of restaurants, shops, and public transportation. After a few months of repeated trips into the city to scope out the possibilities, reality prevailed. “There just isn’t much for sale at that price,” says Andrew, who is 55. “And what there is is very small.” In January they bought a four-bedroom, four-bath condo on the second and third floors of a 100-year-old house in Watertown, a much shorter commute for Marian, who works in Cambridge. “We added quality of life while putting money in our pocket, and downsizing some,” Andrew says. Instead, many are hunkering down in three- and four-bedroom houses, hoping for the best further along the road of life. A Realtor.com survey last summer found that 85 percent of homeowners nationwide over age 55 didn’t plan to sell during the following 12 months. That accounted for 33 million properties, most of which will likely remain off the market for the next 12 months, too. “People are staying in their homes longer,” confirms Nela Richardson, chief economist at the real estate firm Redfin. “And not just boomers, but Gen Xers, as well.” A decade ago, Richardson tells me, people swapped homes an average of every 4.5 years. Today, that figure is closing in on 10. According to a 2017 National Association of Realtors report, repeat buyers expect to remain in their homes for a median of 15 years, up from nine in 2006. Jerry Shusterman and Carol Salo bought their house in Natick in 1979 for $60,000. Jerry Shusterman and his wife, Carol Salo, both 72, have been in their Natick home a lot longer than that — since 1979. The Cape-style house cost them $60,000. He figures it might sell for as much as $490,000 with some sprucing up and a freshly paved driveway. The couple planned on downsizing to a condo in their hometown. “We love Natick,” he says. “Everything in the world I need is here.” Then they started looking. “It’s been really discouraging,” he says softly. A real estate friend told him, “There’s nothing in Natick within the price range you want.” Now Shusterman worries about growing older in a house that he can’t take care of the way he used to, and has stairs that are getting harder to traverse. Shusterman and Salo are far from the only members of the middle class finding that condos, long the go-to option for downsizers, are now out of reach. Instead, Presti says, developers pad their profit margins by loading generic glass-walled units with marked-up amenities like $60,000 kitchens, and selling them to well paid “ultraprofessionals” who are less cost-conscious. When boomers and other older homeowners can’t move down, younger buyers can’t move up. In April only about 11,200 single-family homes were up for grabs in Massachusetts, down more than 25 percent compared with the same time in 2017. The number of available condos — about 3,500 — was off by 20 percent year over year. It’s no wonder that when an affordable and habitable home gets listed for sale, prospective buyers swarm like zombies in a feeding frenzy of overbidding. It’s an unforgiving competition that’s made sight-unseen offers the norm in some neighborhoods. Last year 35 percent of prospective buyers nationally put an offer on a home without first setting foot in it, Redfin says, up from 19 percent in June 2016. I can’t imagine. When I bought my house, in the 1990s, the search was closer to a stroll than a sprint. Zillow and Trulia didn’t exist. The MLS book — with grainy pictures that could make a palace resemble the Texas Chainsaw Massacre homestead — ruled. A FEW WEEKS AGO, I took to Facebook for a discussion about middle-aged homeowners who might feel “trapped” in their houses — people who, unlike my wife and I, actually need to shed the responsibilities and expenses of a property that’s one or two sizes too large. This is not what we boomers expected. “[My parents] were able to buy a condo for a quarter of the price of their house and they were able to live on the rest of the money for the rest of their lives,” says Kate Linden, 60, who owns a house in Plymouth with her husband. One solution to the problem would be to build more apartments and condos clustered around downtowns and, ideally, public transit. But in many places that will require changing zoning rules that “tightly restrict multifamily and high-density single-family construction,” says Richardson. In December, Massachusetts Governor Charlie Baker proposed that simple majority votes be allowed for local zoning rule changes, instead of the two-thirds approval many cities and towns now mandate. It’s part of his administration’s ambitious plan to spark construction of 135,000 homes over the next eight years. The Legislature, naturally, has yet to act on the proposal. Mark Pothier is a senior assistant editor at the Globe. Send comments to magazine@globe.com. Get the best of the magazine’s award-winning stories and features right in your e-mail inbox every Sunday. Sign up here.